Ethiopia said Friday it will deploy about 210 health professionals to Ebola-affected countries to support the response against the epidemic in West Africa. In addition, the East African nation has also decided to provide financial support of $500,000 to the response in the highly affected countries, Xinhua reported. Speaking at a press conference on Friday in Ethiopia’s capital Addis Ababa, Keseteberhan Admasu, Ethiopia’s health minister, said the health professionals drawn from the public and private sectors would be deployed in two rounds. The mission from Ethiopia comprises medical doctors, nurses, field epidemiologists, environmental health professionals and public health specialists. The Ethiopian minister noted that the support is a sign of solidarity to African brothers and sisters. With its programme dubbed the AU Support to Ebola Outbreak in West Africa (ASEOWA), the African Union (AU) has deployed volunteers in the affected countries. The pan-African bloc recently appealed for more human resources from its member states and development partners to fight the Ebola epidemic. 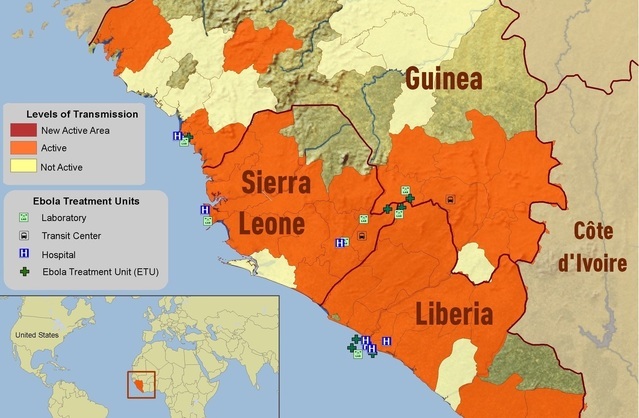 Despite efforts made to combat and control the epidemic, Ebola outbreak continues to ravage the affected countries in West Africa and the transmission remains persistent and widespread especially in Liberia, Sierra Leone, and Guinea.